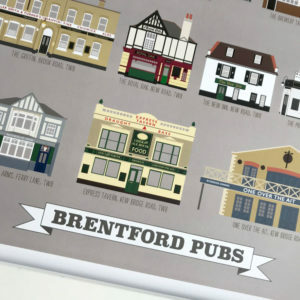 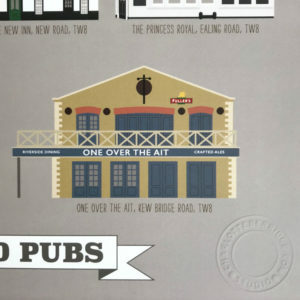 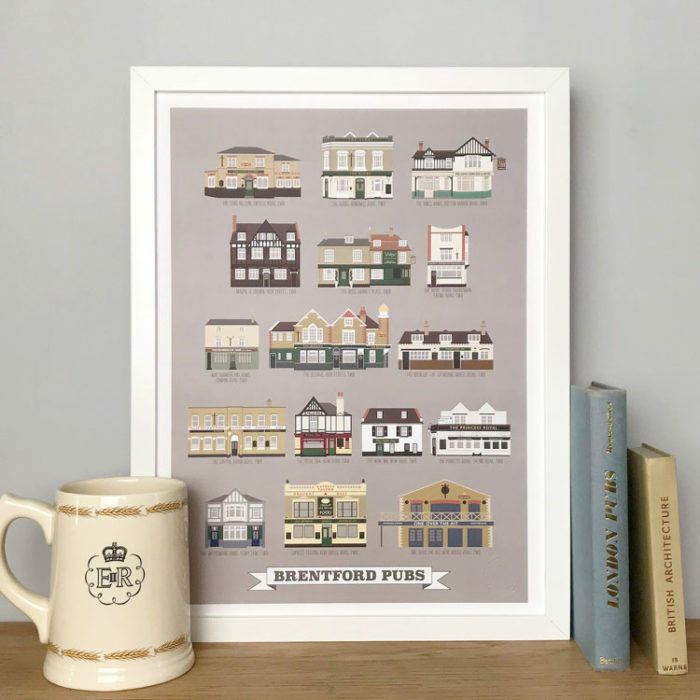 Full colour illustrated art print of historic Brentford pubs created exclusively by Charlotte Berridge. 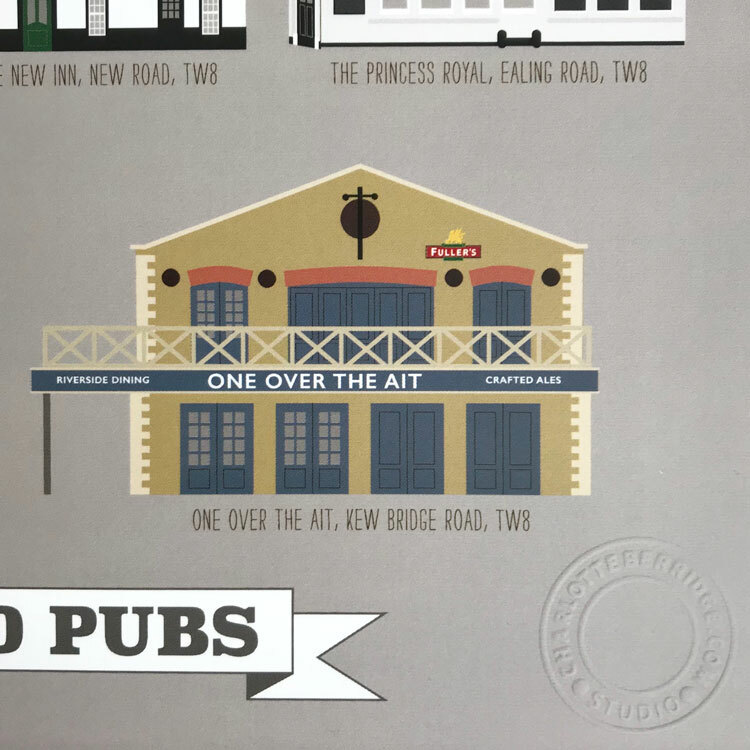 This is an updated 2018 version which includes the reopened Royal Oak. 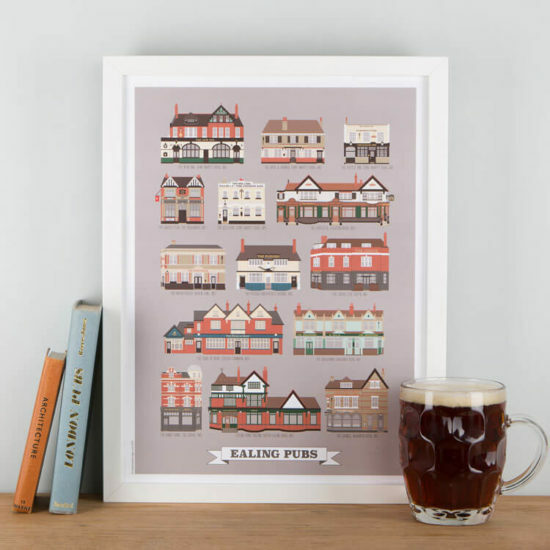 I have a couple of original versions left which feature the now closed Six Bells. 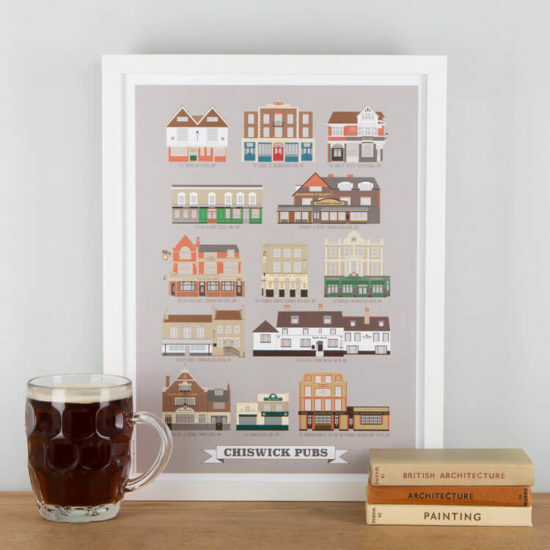 If you are particularly interested in one of these please email me at info@charlotteberridge.com. 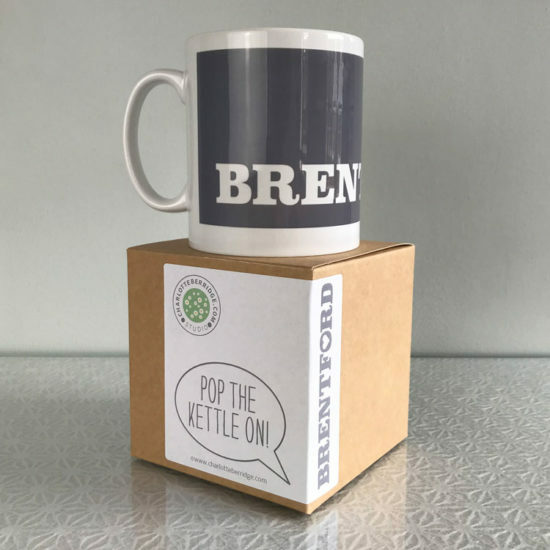 They are at the same £30.00 price.